Valentine's Day can be special and romantic or very difficult for some people. Lyn shares step-by-step tips on how to prepare a celebratory meal for family or friends. Gather people and express your love and appreciation for them. Appreciation Dinner-Valentine's Day or any day! Valentine's Day is the perfect opportunity to host an appreciation dinner to encourage and honor your family and friends. 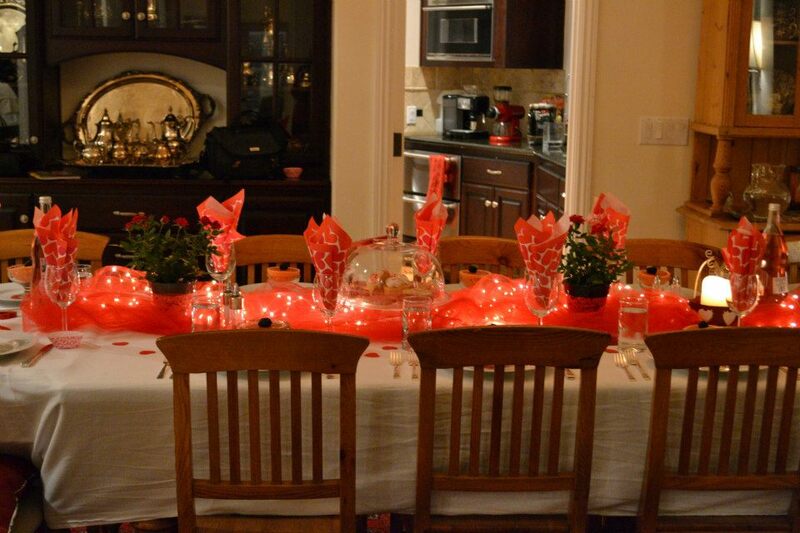 A couple of years ago, Valentine’s Day fell on the same evening as the routine meeting of our prayer group, so I decided to host a dinner for them. It was a great success! Even adults can have a lot of fun doing an activity or craft. It may bring back memories of kindergarten but will lead to lots of good laughs! 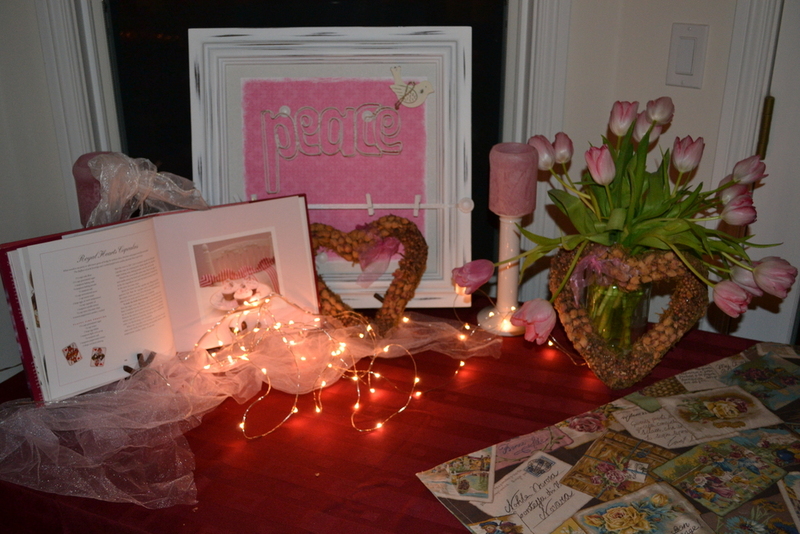 Put out paper and supplies and as people arrive, ask them to make a couple of Valentine’s Day cards. You will use these later for an activity. It is great for people to have something to do while waiting for all the guests to arrive. I decorated the table using a white table cloth with a strip of tulle (ballet dancer's fabric) with little, white LED lights under it. It looked so festive. I added red and white heart napkins/serviettes and used shop bought cookies as part of the table centerpiece. 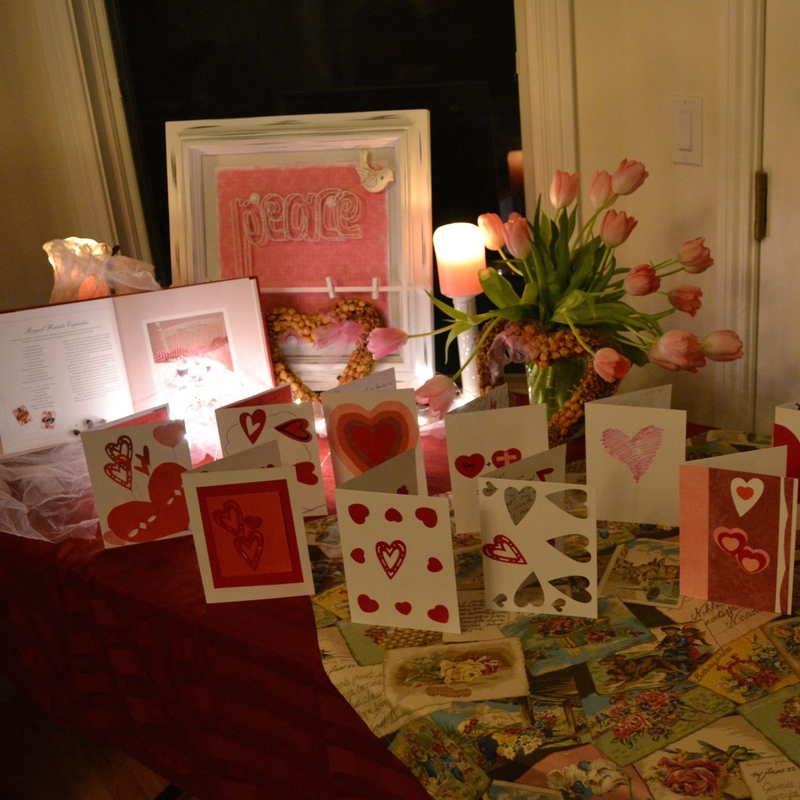 I arranged the cards that had been made on the side table. I chose pink and red food to tie in with the theme. Check out the Easy Valentine's Day Dinner blog for all the details and a video that shows step by step what to do. If everyone knows everyone else, have them write a card for the person to the left of them, or you can draw names. If people do not all know each other, pre-decide who should write about whom and let them know. Encourage people to be quiet and stay focused while they write. After everyone has finished writing, give them the chance to read the card out loud to the person before giving it to them. Encourage the person receiving the affirmation to listen quietly and soak it in just like a sponge. You will be amazed how deeply people are impacted by hearing powerful and loving words being spoken over them. Give everyone a number of small pieces of paper, equivalent to the number of guests. 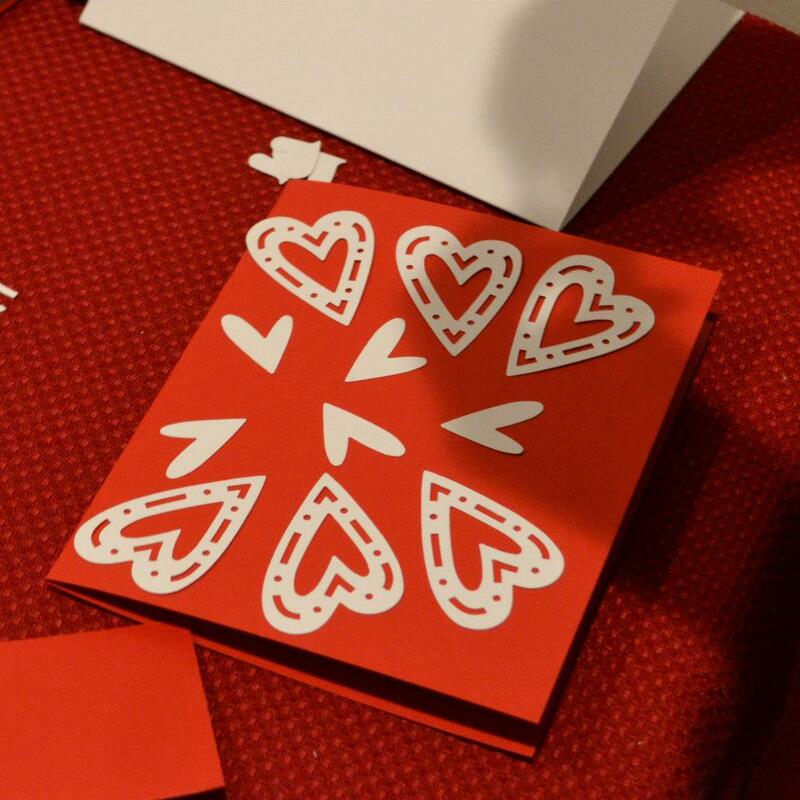 You can also give heart shaped pieces of paper if you have the time to make them. Get everyone’s attention. Explain that you will call out one person’s name and then everyone will write the first thing that comes to mind that they appreciate about that person on a piece of paper. They will only have a few seconds to do it. Once they have written the word, they will hand it to the person face down. That person doesn’t read them but just leaves the pile of words in front of them. You randomly call out name after name until people have written one word for each person. Then give people time to look at their words. Many times people begin to laugh (and sometimes even cry) as they read what people have said. Then go around the table and have people read out loud what others have said about them. As people declare out loud the truth of who people see them to be, they feel encouraged and strengthened. I encourage you to host a special dinner and spend the time affirming one another. It will be one of the most meaningful evenings ever! Please share this post with your friends, add your comments and sign up to receive our newsletters!